Apologies for disappearing on Wednesday and Thursday. I had a busy few days where tennis had to take a backseat. I’m back now for the end of the St. Petersburg and Taipei City tournaments. The match of the day in St. Petersburg saw Yulia Putintseva record her second top ten win in the last six months with a 6-3 6-7(4) 7-5 win over the number three seed, Svetlana Kuznetsova in a dramatic and entertaining quarter-final. Putintseva had played a near-perfect opening set, utilising the drop shot to great effect and getting Kuznetsova on the move, not allowing the Russian player to feel comfortable in rallies. Putintseva should have wrapped up the win in straights, having led 6-3 4-2* and then 6-3 *6-5, serving for the match. Putintseva even had a double mini-break in the second set tiebreak. Kuznetsova clung on impressively to force a decider. Having been on the brink of defeat, this match actually became one that got away for Kuznetsova. Reeling off four games in a row and just two points away from the win, Kuznetsova entered her most impressive passage of the match with some clean striking to lead 5-3. 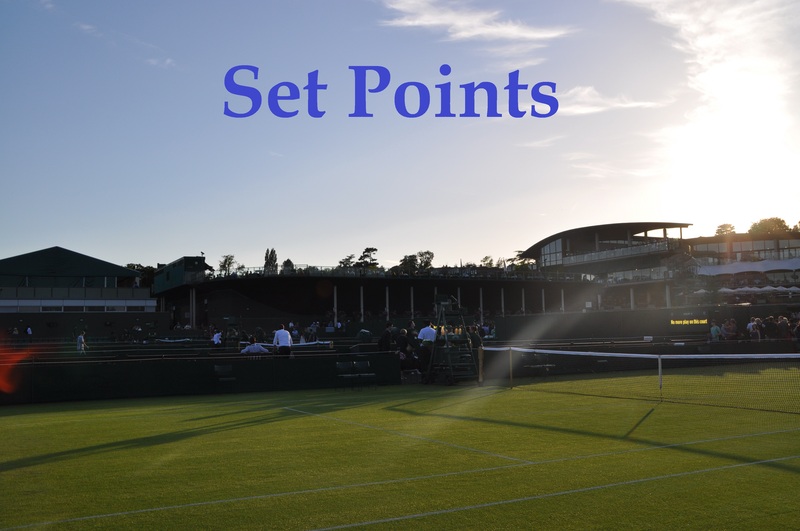 However, it was Putintseva who would go on a four game streak, finding some fabulous drop shot winners, some effective serves at 5-5 and a heap of help from Kuznetsova in the final game to record a superb three set win. When she manages to maintain her focus, there’s a lot to like about the way that Putintseva maximises her strengths on court and the drop shot was a key factor in this match. Putintseva advances to a semi-final with Dominika Cibulkova who defeated Elena Vesnina, 6-3 6-3 in the first of Friday’s quarter-finals. This has been Cibulkova’s best tournament of the year so far and she is the only seed remaining in the draw. Dominika @Cibulkova overcomes Vesnina to advance to @Formula_TX Semifinals! Kristina Mladenovic produced a devilishly dynamic display to defeat the defending champion, Roberta Vinci in a 6-1 6-4 quarter-final victory. The Frenchwoman has struggled of late in singles but is enjoying a strong week in St. Petersburg with this her third straight sets win of the week. This was one of the most complete displays i’ve seen from Mladenovic in quite sometime as she rushed Vinci on her backhand side and mixed in touch with aggression, powering her way through some late nerves to seal an excellent win. Belle victoire sur Vinci aujourd'hui. Contente d'être en 1/2f ici à Saint Petersbourg. Simona Halep was forced to pull out of St. Petersburg with the persistent knee injury that has dogged her start to 2017, handing a walkover to Natalia Vikhlyantseva. It was a surprise to see Halep play the tournament, particularly after she played on through injuries at the start of 2016 without much success. I’m glad to hear that Halep seems destined to take a break from the tour to fully rest up the knee… get well soon, Simona! Simona decided to take a long break from tour and she won't be able to play Fed Cup, Dubai and Doha. The St. Petersburg semi-finals are up on Saturday and i’m delighted to say that the live stream seems to be working again on the St. Petersburg official website HERE. It’s been great to have a live stream for most of the week as the WTA continues to let down their fans. Furthermore, if you miss out on the live action, the HOT TENNIS YouTube account has been producing some superb highlights all week so go check them out! In Taipei City, the first of the semi-finals will be between the unseeded, Lucie Safarova and Peng Shuai. Lucie saved seven of eight break points in a tight second set against Misaki Doi, winning through, 6-4 7-6(1). It’s been really hard for me to watch Lucie’s matches this year in my timezone but I was pleased to be able to watch most of the second set. She was superb on the break points and in a battle of the forehands, Safarova soared in the second set tiebreak having played catch-up through much of the second set. This is the first time that Safarova has won three matches at the same tournament since Wimbledon last year and it will be a big boost for her ranking with the Czech player already projected to break back into the world’s top 50. Peng had a notable win, beating Sam Stosur for the first time in seven meetings. Granted, it had been a while since their last meeting but this was another encouraging display from Peng who has started the year in fine form, both in singles and doubles. Peng downs Stosur 6-4, 6-4! Trying to take my biased hat off, it’s hard to separate Safarova and Peng. I’m hopeful for Lucie, but this has already been a successful tournament for her and anything else is a bonus. The most dramatic match of the day in Taipei City saw the number one seed, Elina Svitolina, cling onto her position in the draw, saving four match points in a 6-1 3-6 7-6(4) victory over Ons Jabeur. There were a couple of stunning points! Svitolina plays Mandy Minella in the semi-finals who will be aiming for her first ever WTA final at the International level. Despite the narrow escape against Jabeur, i’d still have Svitolina as the favourite to win this tournament.
.@MandyMinella edges Zhu 1-6, 6-3, 7-5! Good news is that Eurosport is staying on Sky… it has previously been reported that it would be dropped. Here’s a video from the French Open of the proposed new roof for the Philippe Chatrier…. looks like a lot of work! February 3, 2017 in Set Points, St. Petersburg, Taipei City, WTA. I think I’m a bit unfair but I can’t say I think Svitolina’s performances matches with her ranking. For me, she isn’t exciting to watch and I feel like she has to play these small events to be at around 10 in world. She always use this small events to push up the rankings, but this can’t and shouldn’t be the way when you’re in Top 20. I get what you are saying although I think Svitolina has had some decent results at the bigger events. I was impressed with some of her performances at the end of 2016 but not really seen that this year yet. I disagree on all counts. She was super impressive against Minella today. She’s really getting good at injecting pace, redirecting down the lines and using slices to change play. A good run in Dubai and Doha will put her inside the top ten. I was impressed with Svitolina today, intrigued to see how she gets on in the final. James, did you try? Did it work? Saw Mlad vs Vinci and was quite impressed. if Mladenovic could always play like *this* she could be a real threat. Hi Murphy, I was about to try and realised the stream is back working again! Elina’s not well at the moment; she said in a recent interview that she’s been suffering from ‘flu, so she’s finding it something of a struggle to play at all and under those circumstances she’s done well to get so far. Stylistically, I think she’s a very solid defensive player (Alize Cornet said she didn’t think Elina had made an unforced error since 1993!) rather than an attacking one. Anyway, Domi vs Poots in the St Petersburg SFs; that’ll be a match to look forward to! I was looking forward to Domi-Poots and it was a good watch! Yeah, I agree although I’ve only seen the highlights. I had a feeling Poots might win this though I wasn’t confident enough to want to make a prediction and it was close pointswise (97-94). Domi was making more errors today than I’ve seen her making recently.